Potato plant flower. 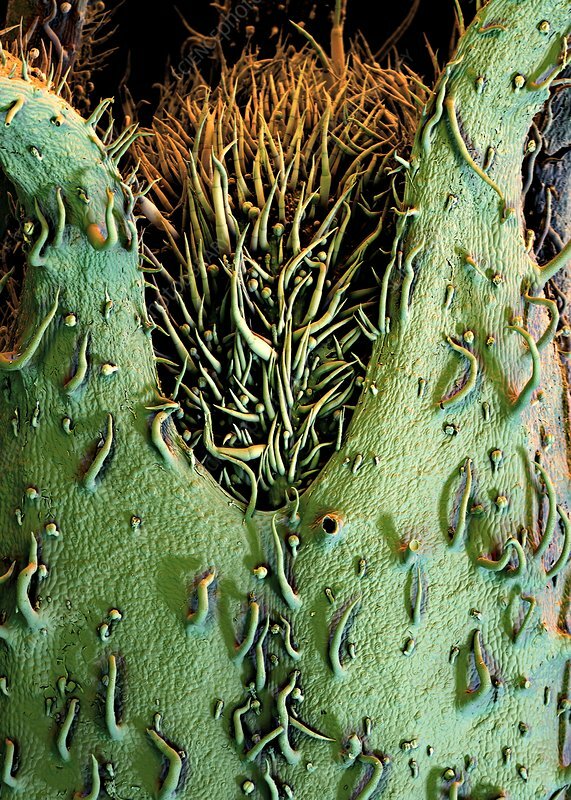 Coloured scanning electron micrograph (SEM) of a close-up of the flower of a potato plant (Solanum tuberosum). After flowering, this plant produces toxic fruits and edible tubers.